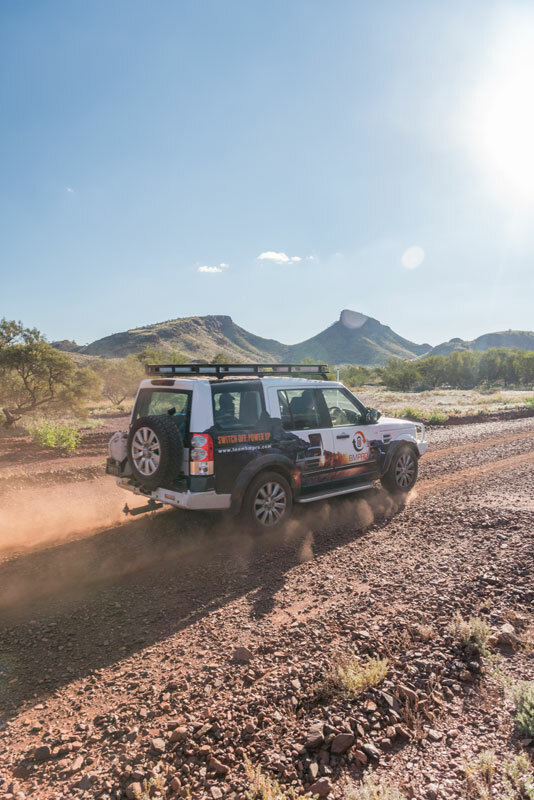 The jewel in the Pilbara’s crown, Karijini National Park was the ultimate destination for BMPRO WA cross-country adventure in June 2018. 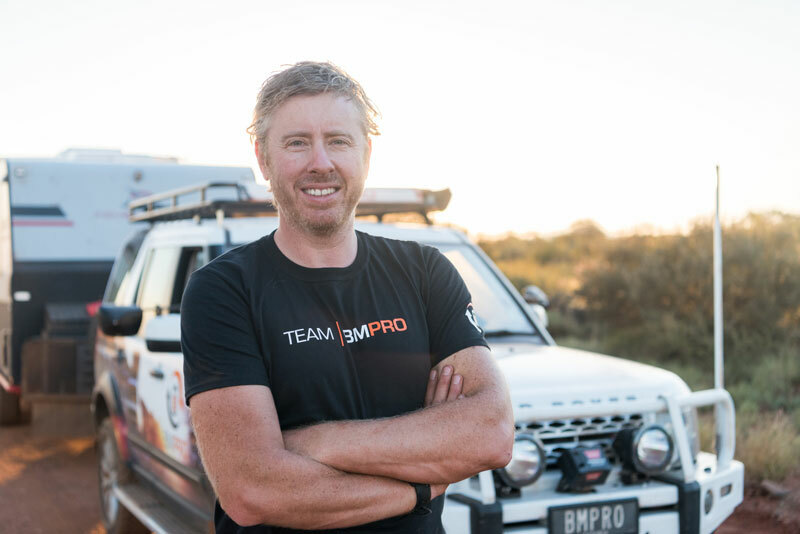 BMPRO adventurer Dave Bayliss reached his destination of Karijini National Park with nearly 5000km of driving under his belt, after leaving from Melbourne more than a week prior. Karijini is the jewel in the crown of the Pilbara. Massive mountains and escarpments rise up from the flat plains. There are breathtaking gorges and waterfalls, along with beautiful creeks and waterholes, ideal for swimming. Wind and rain have slowly eroded the landscape from the surrounding rocks, over 2.5 billion years old. The park, which is Western Australia’s second largest park at 627,422ha, is the traditional home of the Banyjima, Kurrama and Innawonga Aboriginal people. The Visitor Centre is a great starting point, with insight into the traditional owners’ interpretation of the landscape, its value to them, plus guidance on where to go and what to see. Popular spots to visit within the park are in the north and include Dales Gorge, Fortescue Falls, Weano Gorge and Oxers Lookout and, one of the great things about Karijini is that the sites are very accessible: simply pull into a car park and walk 200m to look into a deep canyon or gorge, or see the waterfall. There are many excellent walking trails, for beginners to experienced hikers. Some of the “must see” spots are: Fortescue Falls, Dales Gorge, Hamersley Gorge, Weano Gorge and Oxers Lookout. Any visit to Karijini National Park should commence at the Visitor Centre. This modern building has been designed in the shape of a goanna moving through the country. It is symbolic to the local Banyjima people. The tail represents their history, the middle represents the Indigenous Law and the head represents the future direction. Inside there is a range of static and interactive displays that takes you on a journey of places and people, through stories of geology, plants, animals and indigenous culture. It is particularly worthwhile. There is a good variety of accommodation, from an Eco Retreat within the Park itself, to Motels and Lodges in Tom Price, or Homestead Stays at Millstream, or Caravan Parks in the Townships, or Camping within the Park itself, through to the ever-popular Station Stays, usually outside the townships. A lesser-known but equally beautiful destination is Millstream Chichester National Park. It’s located 200km north of Karijini National Park. There’s plenty of swimming, canoeing and sailboards along the water-lily filled wetlands and waterways. It also has beautiful gorges and waterfalls. 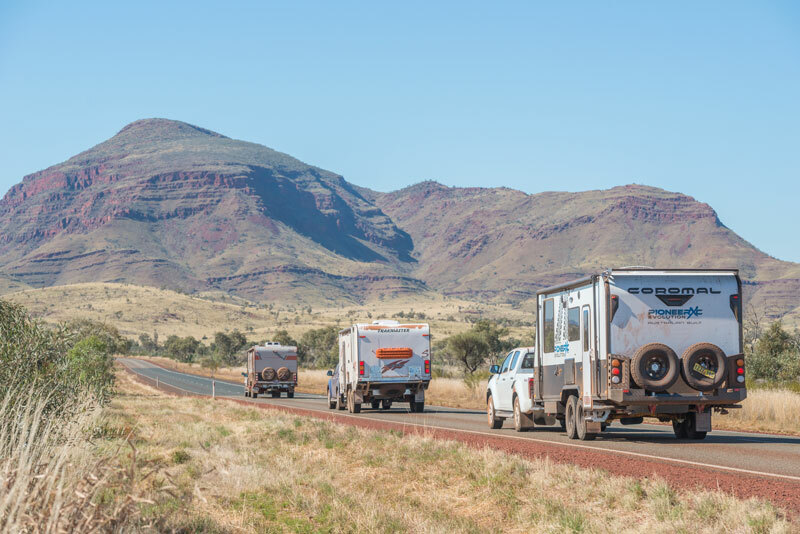 Scenic drives (Snappy Gums 20km circuit) and excellent camping sites, along with plenty of gas barbecues and toilets make for a comfortable experience. Millstream is the traditional home of the Yindjibarndi people. They have produced an excellent self-drive booklet for visitors, incorporating interpretive signs en route. Enter Karijini National Park from Tom Price, Roebourne, Port Hedland or Newman. The best time to visit is late autumn, winter and early spring. Winter days are warm and clear, but nights are cold and frosty. The Karijini Visitor Centre is just off Banjima Drive and is open from 9am to 4pm daily. It is closed from early December to early February each year. Millstream Chichester National Park is 150km south-east of Karratha. It has more than 120 species of bird, 30 species of mammal, 150 species of reptile and 500 species of plants. There are two great walking trails: The Homestead Trail (750m return, 30 minutes) and the Cliff Lookout Link Trail (8km return, allow three hours). Camping areas at Millstream are Miliyanha and Stargazers Campgrounds. Self-registration is required and fees apply.